Phil Schmill—forget the Punxsutawney rodent. 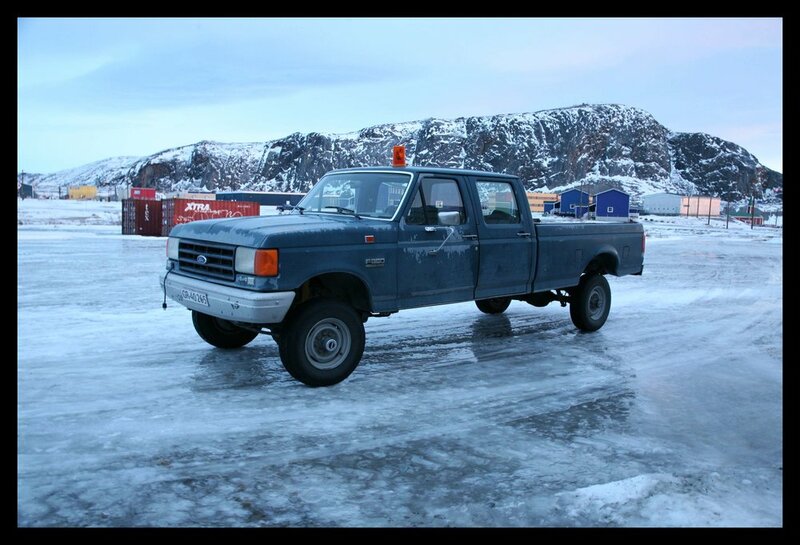 A better prediction of spring’s pending arrival is the appearance of PFS staffers in Kangerlussuaq for pre-season work. Mark Begnaud and Ed Stockard have been up in Greenland for a couple of weeks now, repairing tents, shipping items to the east coast that will be needed early in the season, and preparing the small generators, cook kits and survival bags for issue to researchers heading into the field in a few months. New Kangerlussuaq operations manager, the transcendent Kathy Young, is in town as well. A steady hand at Summit Station's helm for the better part of a decade, Kathy assumes leadership of our effort in Kangerlussuq this summer. Sparky and Ed are showing her the operation. The trio is also meeting with contacts in town to arrange freezer space, car rentals and so on. During their first week, the team witnessed several cycles of freezing rain followed by thawing conditions, which were then followed by colder temperatures. Wet streets, vehicles, buildings--in fact everything in the small community--seemed covered in a fine layer of glass. Kathy, Mark and Ed are also helping with the transition now ongoing at Summit Station. A team of five fresh staff, along with new Summit Station science project manager Katrine Gorham and others, flew in to Summit on 5 February. As we write, they're going through turnover with Karl Newyear and the phase II team, which is now inches from a clean get-away.